Why Invest in the Pet Industry? Why Invest in the Pet Industry? To answer that question, let’s look at the numbers. But how widespread are they in society? In September of 2014 the U.S. Census Bureau released updated data. 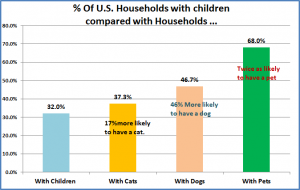 In 2013 there were 125,670,000 Consumer Units (Households) in the U.S.
As you can see, Pets are a major part of American life and have become part of the family. 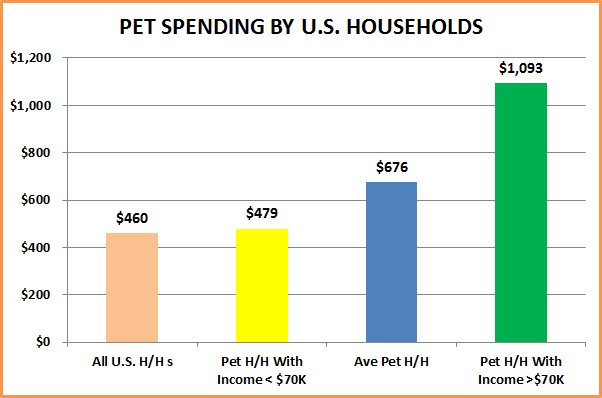 However, we are talking about business so how much do Americans spend on their pets? 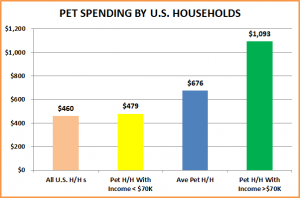 Income does matter as the rate of pet spending increases radically with an increase in income. So what is the top line? According to the APPA, Pet Spending in the U.S. in 2013 was $55.72B The U.S. Census Bureau’s estimate is actually higher…$57.95B. Either way, it is a lot of $…and more than is spent on alcoholic beverages (at home), non-alcoholic beverages, dairy products or men’s clothes…to name a few categories that Americans are fond of. Where do we spend all this money? A review of a recently published list of the top 100 U.S. Retailers from the National Retail Federation is very enlightening. Before we take a look at the summary results, we should note that this report just reflects the top 100 Retailers. It doesn’t include approximately 8000 other Pet Stores and thousands of other outlets selling pet products across many distribution channels. 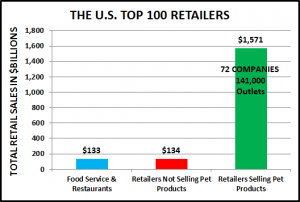 Obviously, Pet Supplies are sold in a huge number and wide variety of outlets…all across America. There is another factor to consider. 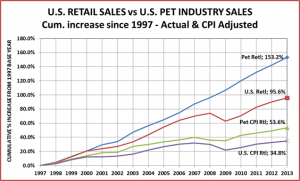 How important is shopping for Pet Supplies to the U.S. consumer? A.C. Nielsen has done a survey which gives some insight into how the consumer feels and acts. 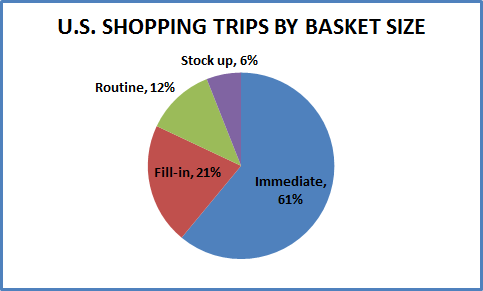 Stock up – $242 ave.
Here’s how the trips broke out. 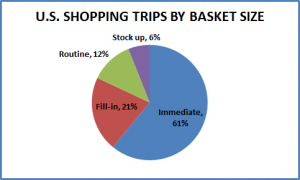 As you can see most trips are smaller – with 82% at $51 or less. Let’s take a look at the immediate trips. These are “need” driven and make up 61% of all of Americans’ “forays” into the retail market. What “needs” motivate these trips? Number 3…behind Milk and Bread…It looks like their companion animals are pretty important to American Consumers or should I say “pet parents”. 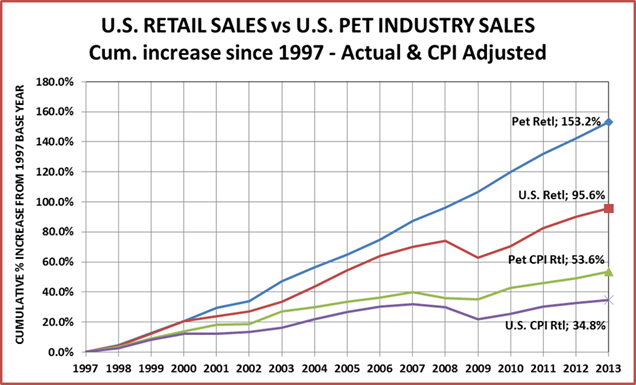 Through good times and bad, at full retail or adjusted for inflation, since 1997 the Pet Industry has performed at least 50% better than the overall U.S. retail market. It is different from many industries because of the emotional element in caring for and providing for companion animals. 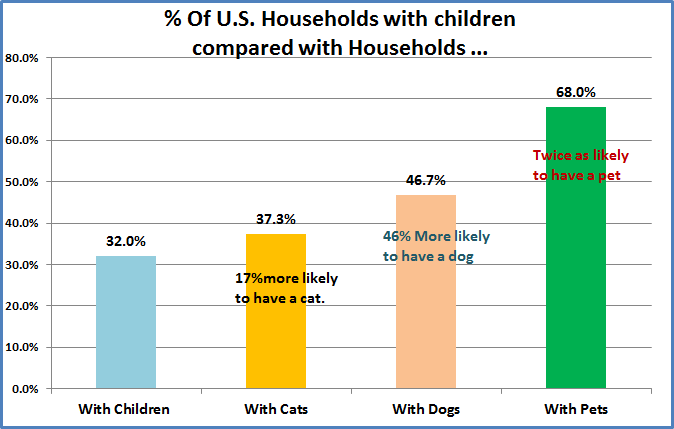 Americans have almost a “family like” connection to their pets. They also have proven that they are very willing to put their money where their heart is. 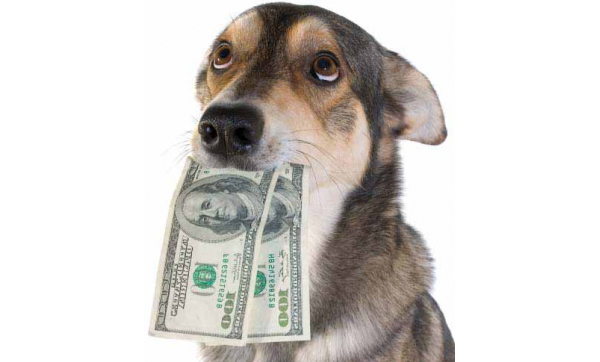 So to answer the question, “Why invest in the Pet Industry?”… Because it makes $ and sense!